PPIA Fellowship Program is designed for graduate students pursuing a career in public policy. Students must be juniors pursuing a Masters degree in public policy. The fellowship program is intended to help students complete their graduate school degree in public policy, public administration, or international affairs. To qualify, students must attend one of 30 universities who participate in PPIA's Junior Summer Institute. Those accepted into the fellowship program receive a financial award to help cover their graduate education. 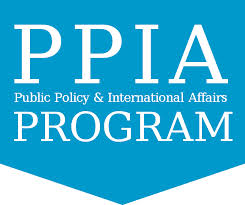 Public Policy and International Affairs sponsors the fellowship program. The Washington, D.C.-based organization is dedicated to increasing leadership opportunities for underrepresented groups in public service. Students applying for the fellowship are those who are committed to a career in government, non-profit organizations, international organizations or other careers that serve public interest. U.S. students may choose any Junior Summer Institute. International students are required to attend either Carnegie Mellon University or Princeton University.